Imagine a landscape framed by towering, granite mountains that rival the peaks of Everest and K2. Throw into the picture easy access to some of the world’s best mountaineering, snow skiing and white water adventure. Now include a bustling city decorated by picturesque tree-lined parks outlining impressive European architecture. Mendoza is actually the title for both the province (Argentina’s 7th largest) and the the nation’s fourth largest city, which also takes the role as provincial capital. The city is a locality of first-class pleasures. A metropolis of nearly a million people, the urban center offers awe-inspiring scenery, five-star hotels and Michelin-rated gourmet dining. But the true inspiration in visiting this romantic city nestled amongst Andean giants is its expansive viniculture. Home to over 1,200 wineries, the Mendoza region is one of eight in the world optimum for wine production; Bordeaux, Cape Town, Lisbon, Melbourne, Napa Valley, Rioja and Tuscany also included. Although Argentina was a late bloomer, it is now a major influence with such players as Chandon, Bianchi and Trapiche. 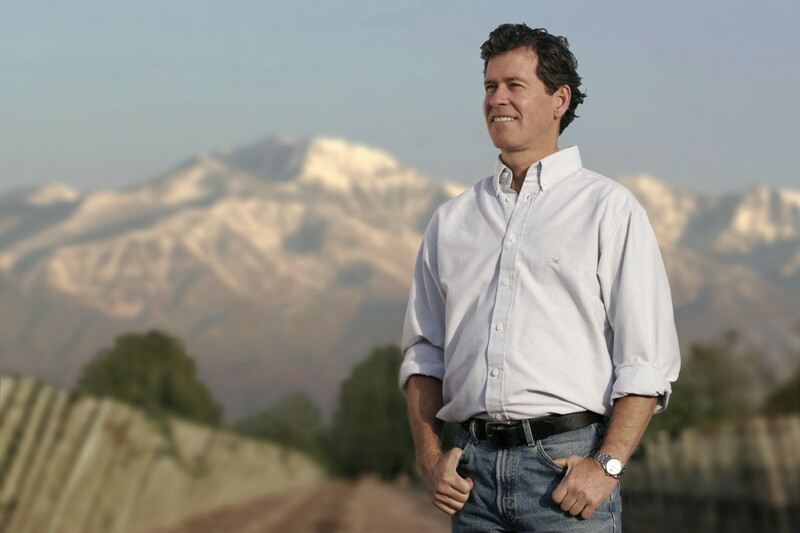 Long time Argentine vintners are now being recognized on the global scene, like Nicolas Catena, British wine magazine Decanter’s 2009 Man of the Year. It is also home to Paul Hobb’s 2006 Cobos Malbec, which received the coveted 99 in the Robert Parker Wine Advocate rating system. In relationship to its impressive wines, Mendoza is a breeding ground for some of the best restaurants in the world. Catena, for example, joined forces with world-renowned chef Frances Mallman to create 1884 Restaurante. A vision of culinary masterpiece, the partnership was voted seventh in the world in 2002 by Restaurant Magazine, ranked in the top 50 in 2003 by Michelin and in 2006 was voted seventh on the planet by London Times. Another city center favorite that marries Mendoza wine with local cuisine is Azafran, a play on Argentine culture with an antique décor, an ever-changing nouveau campo-style menu and an exquisite wine cellar. For accommodations, Mendoza is filled with first-rate options. At the forefront is Park Hyatt, a modern embodiment of beau monde. The exterior plays homage to 19th century Spanish grandeur, complete with sculpted columns, intricate façade details and marble flooring. The interior is, in contrast, modern, sleek and spacious with high-level amenities such as a luxurious spa, fast-paced casino and the Hyatt’s signature restaurant, Bistro M – host to the internationally attended Masters of Food and Wine gala held every February. For a five-star experience with a more personalized touch try Casa Margot, located 11 miles (18 kilometers) outside of the city center in Chacras de Coria. Rooms are furnished with unique artistic influences, opulent Egyptian-quality sheets and impressive views of the grounds and vineyard. Casa Margot, celebrating Argentine sparkling wine produced in accordance with the French centenarian technique, connects guests to the sumptuousness of bubbly on a deeper, more incorporeal level. To show off the wine country, there is a superfluity of companies offering educational journeys. Ampora Wine Tours is a bilingual company giving an insider’s look at the local treasures. They pride themselves in showcasing top-rated wineries and working exclusively with knowledgeable English-speaking Mendocinos. Beyond guided groups, the majority of bodegas offer private showings of their establishments. If being a part of the grape harvest celebration sounds like fun – and it is – visit in early March when the entire province of Mendoza celebrates Vendimia, a yearly festival that includes parades, live music and endless dancing. Beyond the pleasures of wine, Mendoza offers countless museums for entertainment. For those interested in yesteryear, Museo Cornelio Moyano offers a look at Argentine natural history. In Maipú, nine miles (15 kilometers) southeast of Mendoza, is the Museo Nacional del Vino, which explains the historical promotion of wine in the area. In Mayor Drummond, eight miles (14 kilometers) south of the city, is Emiliano Guiñazú – Casa de Fader, an art museum dedicated to a 19th century mansion and its wall murals painted by Fernando Fader. 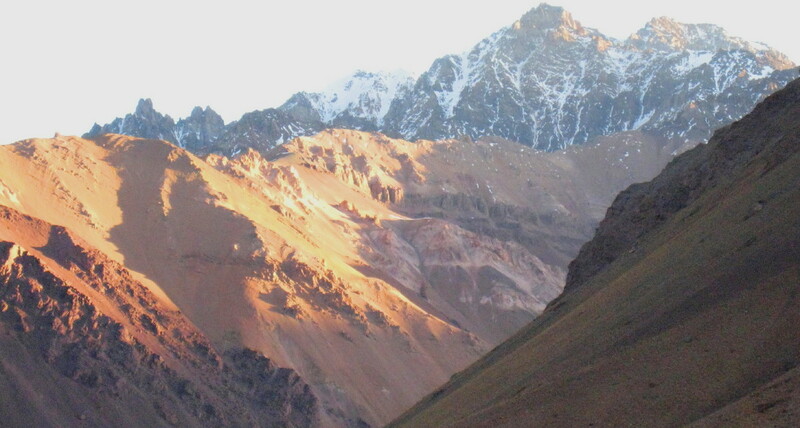 For outdoor amusement, leave urban life behind following Ruta 7, which leads to mighty Mount Aconcagua. 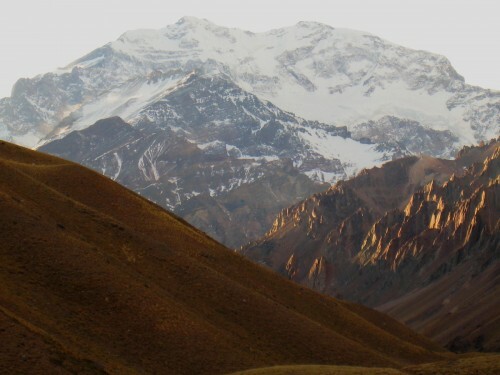 Hailed as the highest mountain in all of the Americas at 22,840 feet (6,961 meters), its ominous presence becomes more impressive with proximity. Also located near the glaciated giant is a wondrous natural phenomenon, Puente del Inca, an ancient Incan healing ground and organic sulfuric bridge that stands above a raging river. After examine a few of the weblog posts in your website now, and I actually like your method of blogging. I bookmarked it to my bookmark website record and will be checking back soon. Pls take a look at my website online as properly and let me know what you think. I wanted to compose you that very little note to be able to say thanks yet again about the pleasing pointers you have documented on this page. It was really surprisingly open-handed with people like you in giving without restraint what a lot of people would have marketed for an electronic book to make some bucks for themselves, mostly given that you could have tried it in the event you wanted. The guidelines additionally served to be a great way to fully grasp that most people have the same zeal the same as my personal own to know the truth much more when it comes to this issue. I think there are a lot more enjoyable moments up front for individuals that view your site.